The Barn Cabin is our newest style. 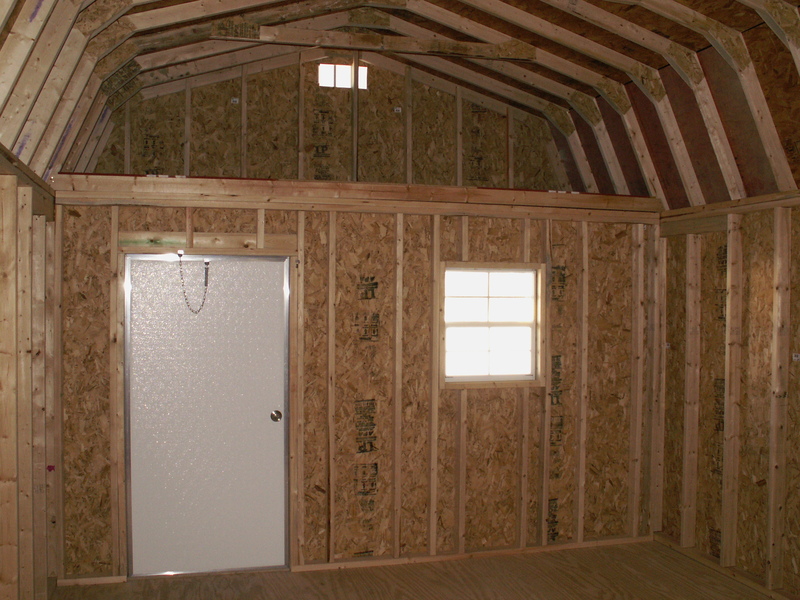 The 7' 4 1/2" sidewalls are designed to give you maximum space by offering extra room for the overhead lofts. 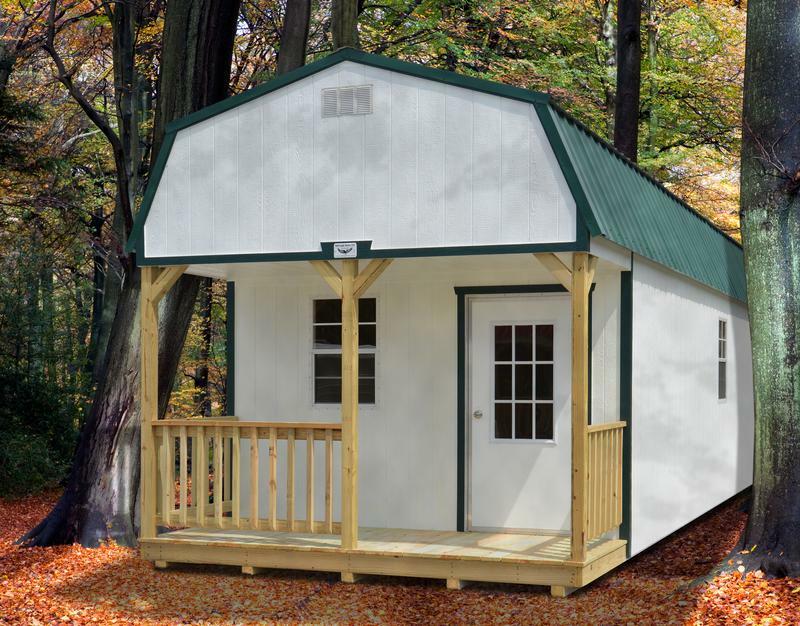 So whether you are setting up a secluded deer cabin or your week-end get-away at the lake, you'll be glad for the extra space the Barn Cabin offers. 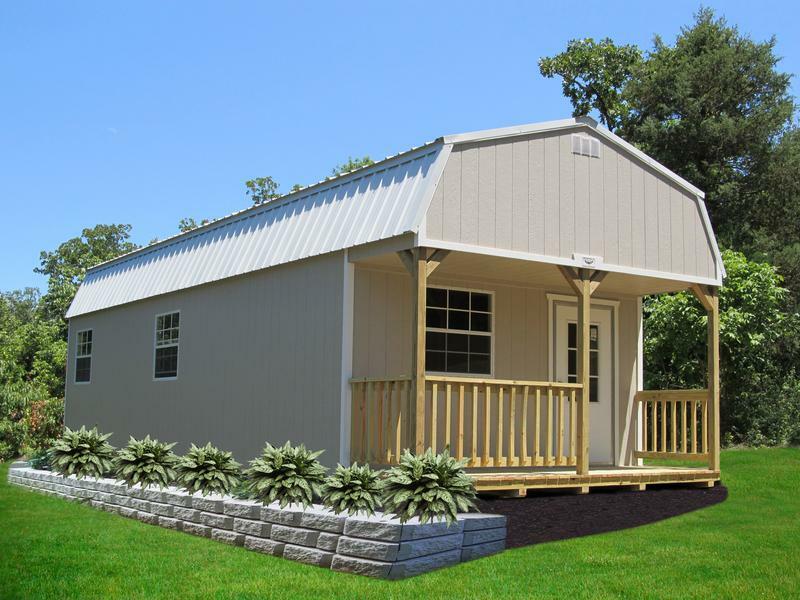 It is also a wonderful design that looks great in your back yard as a guest house; or maybe a personal office for your home-based business! The 4' porch provides added shelter from the elements, plus an inviting, "dressed up" look that is sure to appeal to all your guests. The 3 windows that come standard with your Barn Cabin give you lots of light and added ventilation. As an added bonus, the Barn Cabin features a uniquely designed loft over the front porch. This can be used for a variety of purposes such as sleeping, storage, or a place for the children or grandchildren to explore! 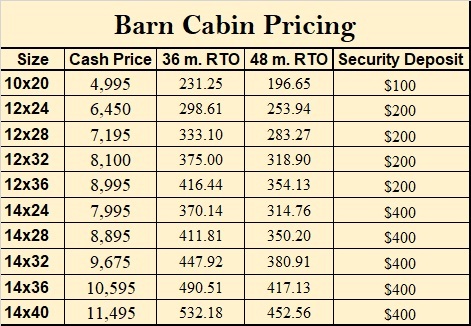 So, come on over and select the Barn Cabin that best meets your needs!!! 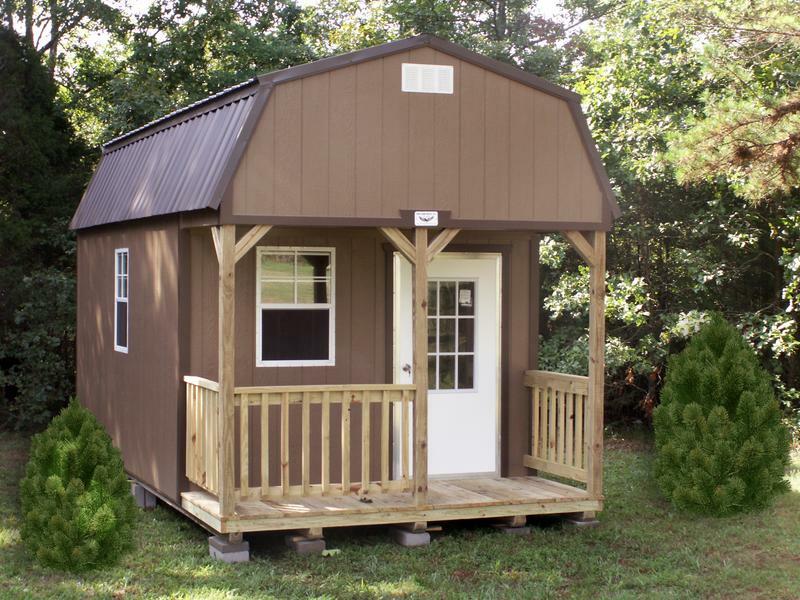 NOTE: The overall length includes the 4' porch. 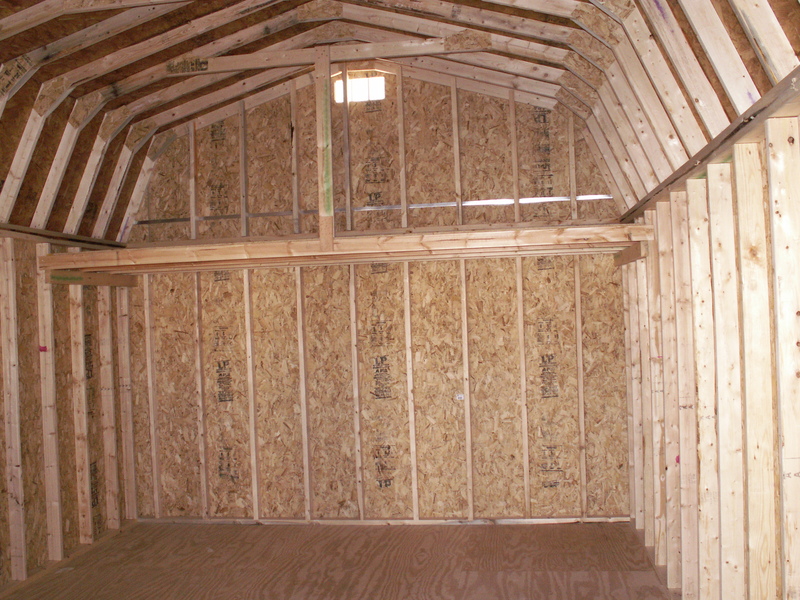 Example: A 12x32 Barn Cabin has a 28' room.